The capacity of a power bank is usually the fits thing people look for, the higher – the better, however there is a catch here and you need to know a few things. First and most important one is that the capacity stated for a power bank is not the actual capacity you can get out of the device, the capacity on the package is the capacity of the battery that is used inside the power bank. The actual usable capacity that comes out from the output USB port for charging devices is usually in the range of about 60-70% and there is a really simple reason for that. 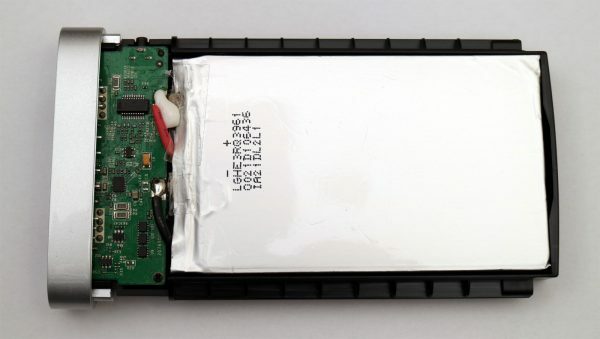 Power banks use Lithium-based rechargeable batteries that are rated at 3.6V-3.7V (when fully charged they reach 4.1V-4.2V), but the device needs to output 5V to charge USB devices. In order to have 5V output you need a step-up voltage converter that increases the input voltage to the desired value, however during this power conversion there is loss. The efficiency of conversion is better in the beginning when the Lithium battery is fully charged with lets say 4.2V, but as it gets discharged the voltage drops and the efficiency gets worse. Here is an example with a power bank that is being advertised as 10000 mAh capacity, the maximum actual output from the USB port for charging devices will very likely be somewhere in between 6500 and 7500 mAh when you take into account the efficiency of the power conversion into account. You need to read the specifications of a power bank carefully and pay attention not only to the capacity, but also to what is the input voltage and current that is needed to charge the power bank itself. The input voltage is normally 5V, so that you can easily use a standard USB charger to charge the power bank, however the more important number is the input current in Amps. Smaller power banks do come with 1.0A input current and larger capacity normally come with 2.0A input current as this is pretty this is standard for power banks that use mini or micro USB ports for charing the internal battery. 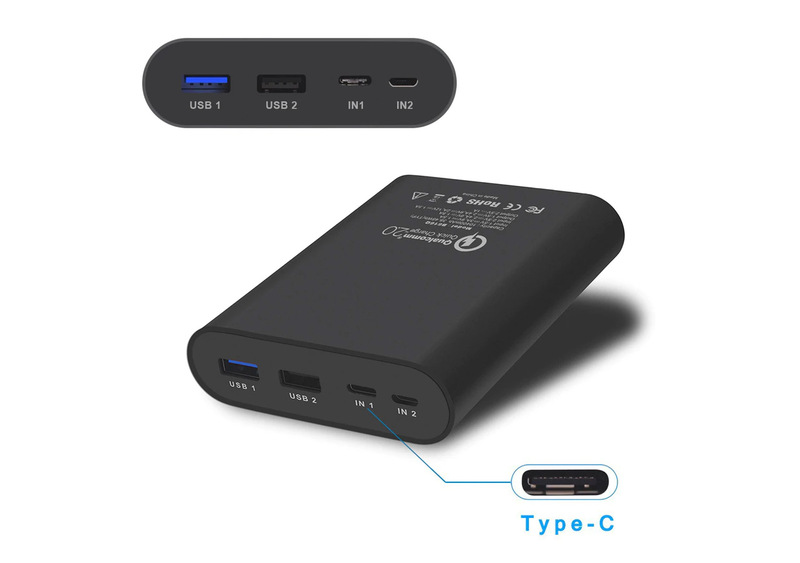 There are some higher capacity models that come wit USB type-C connectors for charging the power bank and these can actually have support for higher input voltage and curent. But why are these numbers actually important? Well, the input voltage and current are crucial to the time it takes for your power bank to get charged after you use it to charge other devices and it needs recharging. 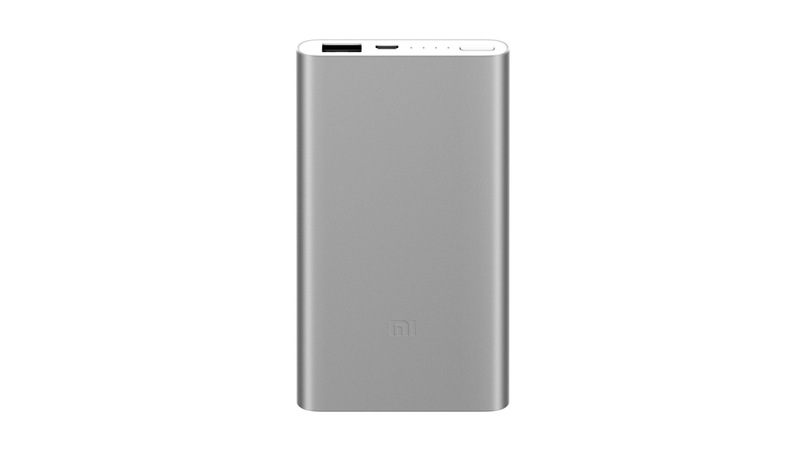 If we have a 10000 mAh capacity power bank that has 5V and 1.0A input, then it would mean that that time needed for a full charge of the battery inside the power bank could as well be around 10 hours or even a bit more. That also depends on the source of power you are using to charge the power bank as power banks are normally being sold without charges and only a USB cable by default. If the input voltage is 5V and the current is 2.0A the charge time will be cut in half, so around 5 hours for a full charge of the same 10 Ah battery. If you use the USB 2.0 port of your laptop for example to charge a power bank the time needed for a full charge may be even longer with the standard 0.5A output for these and for USB 3.0 the standard maximum output current is 0.9A, so a bit better. It is recommended to use an external charger with higher current output if your power bank supports it and you should look for higher capacity models that do support higher input currents and maybe even voltages as well in order to have the power bank charge itself faster. The output voltage and current specifications are as important as the input ones as they relate to how quickly you will be able to charge your smartphone especially as with most other devices things are not that important. The latest generation of smartphones come with big screens and larger batteries and they implement new faster charging technologies in order to ensure that the device can be recharged faster when plugged in. Most power banks, especially the more affordable models do not yet support faster charging technologies, so you are normally limited to 1.0A or 2.0A/2.1A maximum. If the primary use of the power bank is to charge your smartphone and it supports any of the fast charging technologies you may look for a power bank that supports higher output voltages and currents to match the smartphone. There are a few technologies like that available, so make sure to match the one of the smartphone with the power bank. 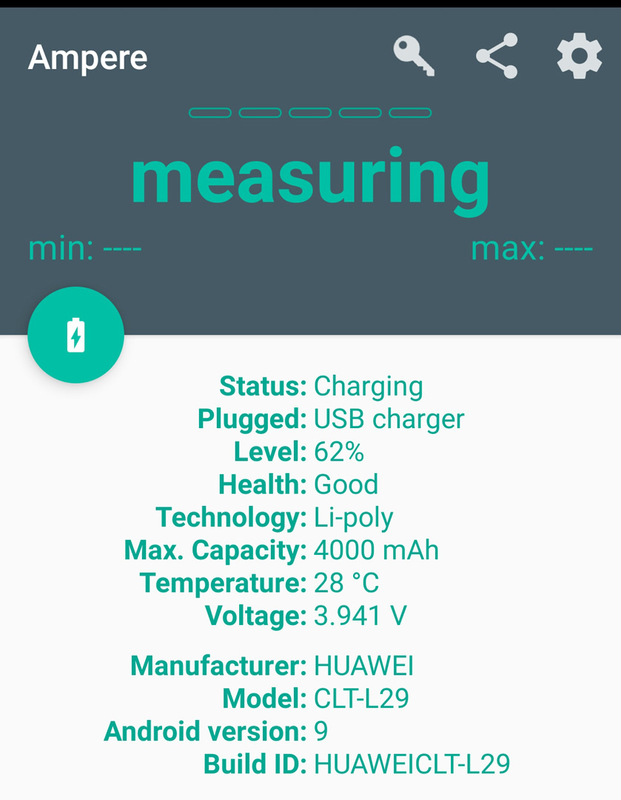 In order to get a better idea on how fast is your smartphone or tablet charging you can use a helpful software application for Android such as Ampere for example available for free from Google’s Play store. It will give you a real time information about the battery type, capacity, voltage and charging current and other information. This is important to know as sometimes you may just think that your smartphone is charging with higher current than it actually is due to some incompatibility with a specific power bank resulting in improper detection of the supported charging parameters.